Hospitality company Airbnb has launched a social media campaign on the back of last week's news of a man getting locked inside a Waterstones bookshop. In response to David Willis’ pleas on Twitter to be freed from the shop in Trafalgar Square, Airbnb tweeted Waterstones suggesting it become a host by letting book-lovers spend a night in one of its stores. 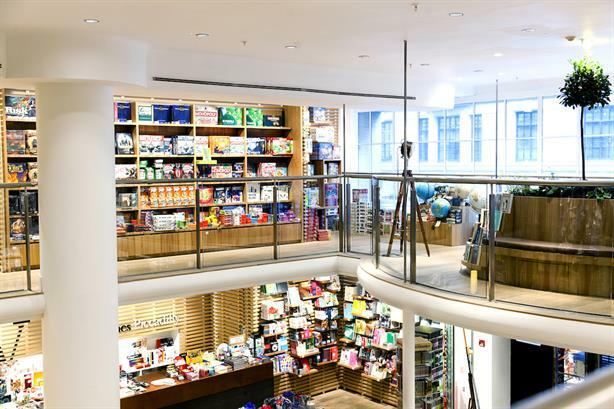 Waterstones agreed to host a sleepover, which is taking place tonight (Friday 24 October) at its flagship store in Piccadilly. Ten winners were selected through a competition that opened on Monday night. Through Airbnb applicants were asked what book they would read if they found themselves locked in a bookshop overnight. The competition closed on Wednesday and attracted 1,200 entries. In addition, Weetabix, Innocent Smoothies, Teapigs and Graze joined the conversation on Twitter and have agreed to provide food and drinks at the sleepover. The #WaterstonesSleepover has received 680 tweets and more than 4,000 ‘likes’ on Facebook. Airbnb UK & Ireland manager Holly Clarke said: "When the news broke on social media about David Willis we saw how many people would jump at the chance to spend a night surrounded by their favourite books. Airbnb is all about offering unique accommodation experiences and this fits with that perfectly." Waterstones’ retail director Rik McShane added: "We were overwhelmed by the support on social media for David Willis when he was unfortunately locked in our Trafalgar Square bookshop last Thursday. So, when Airbnb got in touch we leapt at the chance to give them what they asked for, with the promise that we’d let them out first thing in the morning." The Waterstones sleepover is part of Airbnb’s ‘Night At’ initiative that seeks to unlock places around the world where it has never previously been possible to stay. In August, Airbnb offered people in Australia the chance to spend a night in three rooms in an IKEA store.